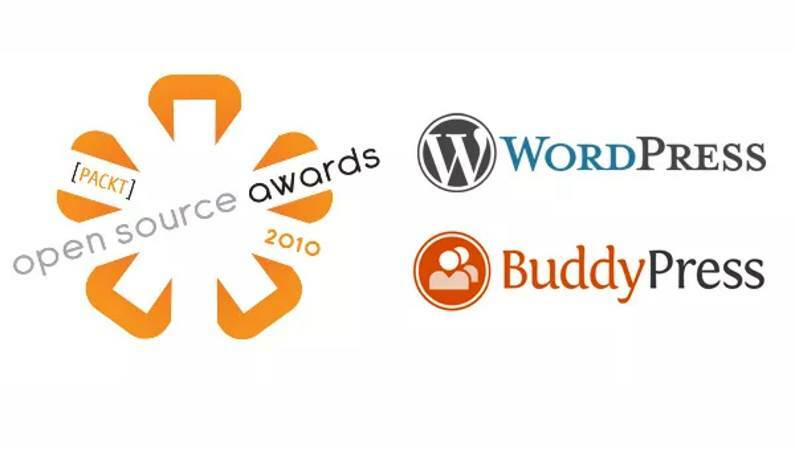 WordPress wins the Hall of Fame CMS category in the [Packt] Open Source Awards 2010. Yes people. The 2010 Open Source Awards results have been announced. No, WordPress did not win the Open Source CMS category. It is not eligible after having won it last year. So, this year WordPress is nominated in the Hall of Fame CMS category instead. WordPress has gone a long way, indeed. What started in 2003 as a blogging platform, has grown into a full fledge CMS today. The main reason WordPress is successful is the backing it has from the open source developers, bloggers, webmasters and designers. Together, they have all made WordPress the platform it is right now. Let’s take a look at the winners of this year’s [Packt] Open Source Awards. In the Open Source CMS category, CMS Made Simple, SilverStripe and MODx captured the first, second and third position respectively. I tested CMS Made Simple but decided to stick with WordPress. I find WordPress is actually simpler and easier to handle than CMS Made Simple. As for the other two winners, I’ve never used nor tried them before. You have been informed about the Hall of Fame CMS category. Yes, WordPress is the winner this year. Followed by Drupal and Joomla. Seriously, I think all three of them make for a great CMS. However, the thing that probably separates WordPress from the other two contenders is probably its’ user friendliness. Yes, compared to Drupal and Joomla, WordPress is easier for normal non techie users to handle. The Open Source e-Commerce Application award goes to Presta Shop. OpenCart and Tomato Cart follows suit. Wow, just how many e-Commerce carts are there right now? I still remember back when I first started making my online presence, there were only a handful shopping cart softwares. The two which I tried back then was OSCommerce and Zen Cart. Today, I even build e-Commerce sites using WordPress. Can you guess the application that won the Open Source Graphics Software title this year? No, it’s not GIMP. This year’s winner is Blender. Followed closely by GIMP and Inkscape respectively. I discovered Blender only recently while trying to find an alternative solution for a cousin who was looking at 3D Studio Max. There you have it. The Open Source Awards 2010 is now complete. Didn’t I just posted about Why You Should Use WordPress in Your Online Business? Now, this award makes for another great reason to use WordPress in your internet business ventures. Ready to give WordPress a try? Click Me to learn all about WordPress on video.